Why Does My Android Phone’s Screen Turn On Randomly? 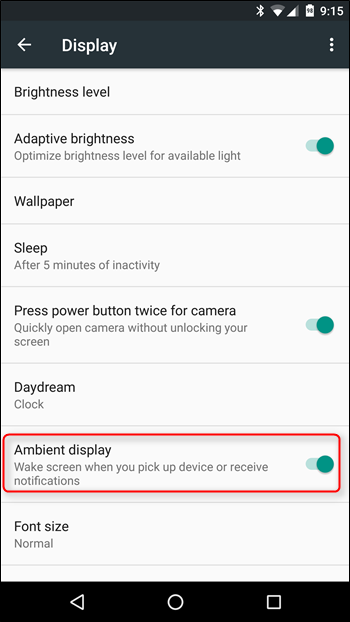 If you’ve noticed that your phone’s screen is turning on without you touching the phone—or whenever you pick it up—it’s thanks to a (somewhat) new feature in Android called “Ambient Display”. 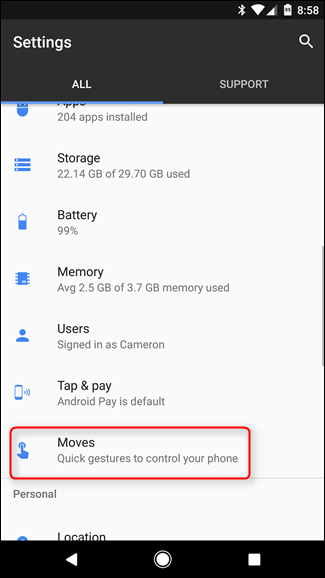 Here’s what it is, and how to turn it off. Ambient Display was introduced back in Android 5.x Lollipop, though it’s kind of a modification of an old Moto X feature (back when Google owned Motorola). 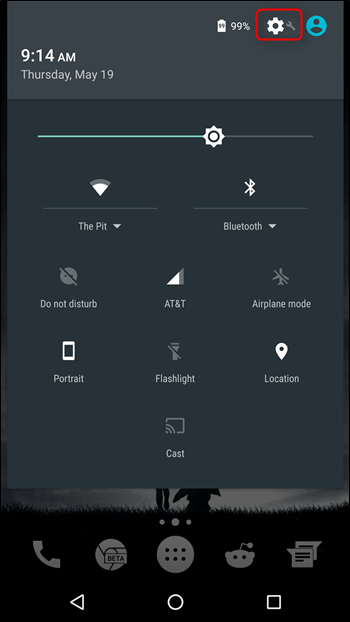 This feature shows notification information on the phone or tablet’s display when you pick it up or get a notification, without you having to turn the display on. While this sounds like a neat feature, it’s not without its own set of…irritations. For example, the phone may detect movement in a pocket or purse as a “pick up,” which can result in unintentional taps on the display and execution of tasks—like pocket dials, for example. It can also be distracting if you work at a desk and get several notifications a day. For example, if you have a constant flow of email coming in, Ambient Display will activate every single time you get a new email (or any other notification), which can be incredibly annoying. Fortunately, disabling this feature is quick and painless. That will disable Ambient Display itself, which will prevent the display from waking every time you get a notifications. But there’s another setting you’ll probably want to turn off. 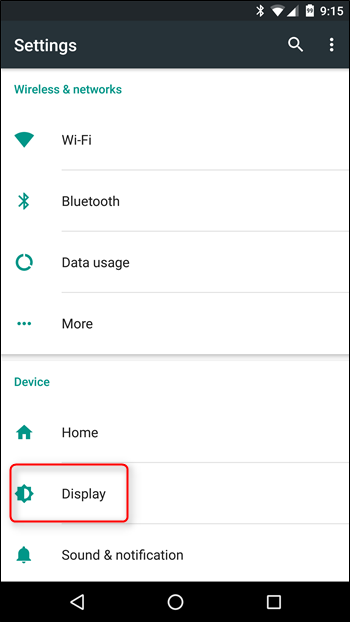 Starting in Android 7.1, Google separated the option that wakes the display whenever you pick the device up. It’s now in a completely separate settings interface, and if you want Ambient Display off, you’ll probably want this off too. This section is new in 7.1 and is basically used for gestures. 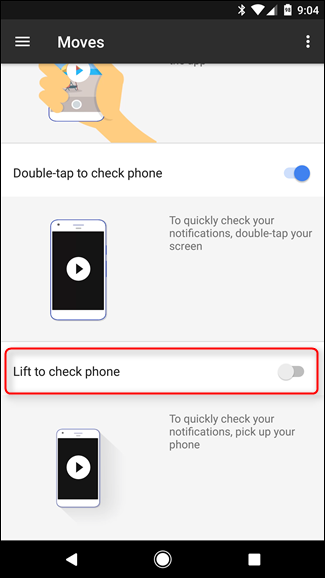 In this menu, scroll all the way to the bottom, where there are two options that basically use Ambient Display: Double-Tap to Check Phone and Lift to Check Phone. If you’ve been wondering why Ambient Display won’t stop waking the display even though the option is disabled in the above menu, this is probably your culprit—Lift to Check Phone is on by default, so toggle that bad boy off. If you like the idea of ambient display but want a little more control over it, I recommend enabling the Double-Tap to Check Phone option. This basically allows you to quickly check notifications by tapping the display quickly a couple of times, which is a specific-enough gesture it shouldn’t accidentally wake the display like Lift to Check does. Ambient Display is a good idea in theory, but in the real world I’m glad there’s an option to turn it off. Or, in the case of Android 7.1+, take more control over how it works.